"Capturing the magic in our youth garden programs can be a challenge. There are so many variables that must align for that perfect shot; from the hitting the peak of the season, to the lighting, and of course getting all of the kids looking in the right direction. Fortunately, Hill Street Studios has the skills and knowledge to plan and execute the perfect photo shoot, and successfully capture that magic. The photos that Betty and Lawrence provided are now the centerpiece for all of our marketing materials. We highly recommend Hill Street Studio for your photography needs." "Want to work with amazing and fun people, plus get fabulous high-quality natural photographs? Then choose Hill Street Studios! We have had the good fortune to have them photograph our students in all types of settings and they have been a joy to work with. We are so lucky to have them on our team and in the city of Nampa." 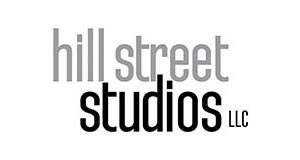 "Hill Street Studios has been a dream to work with. Their shoots are always flexible and professionally done, and the photos we get are beautiful and so beneficial to our marketing efforts. I would absolutely recommend Hill Street to anyone with professional photo needs. They will work with you to fit your organization’s brand and goals, and your experience working together will be a total win-win."